St. Patrick’s Day is around the corner. 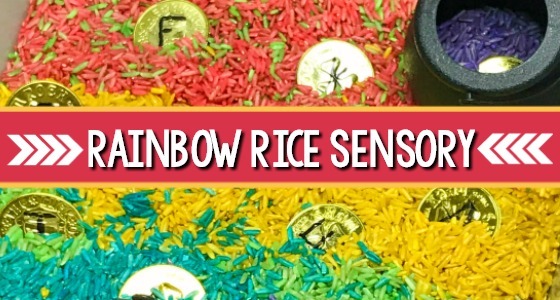 It’s the kick off to spring and a perfect opportunity for children to explore how seeds grow! 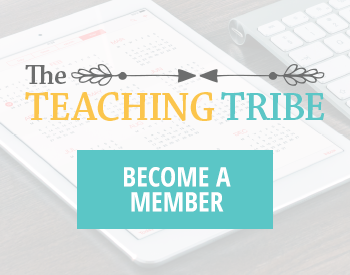 Using high-quality, engaging children’s books is the perfect way to introduce fun learning activities in the classroom. 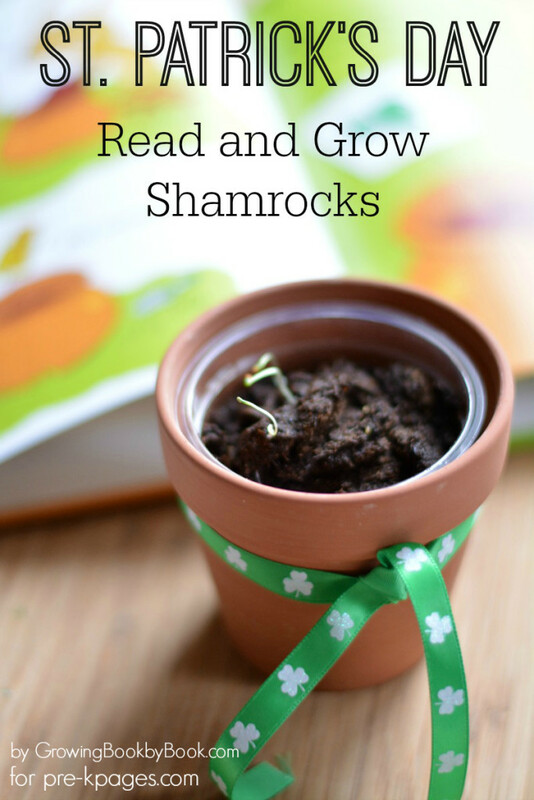 Here is a fun St. Patrick’s Day book and a science activity of growing shamrocks to help children learn about what seeds need to grow. 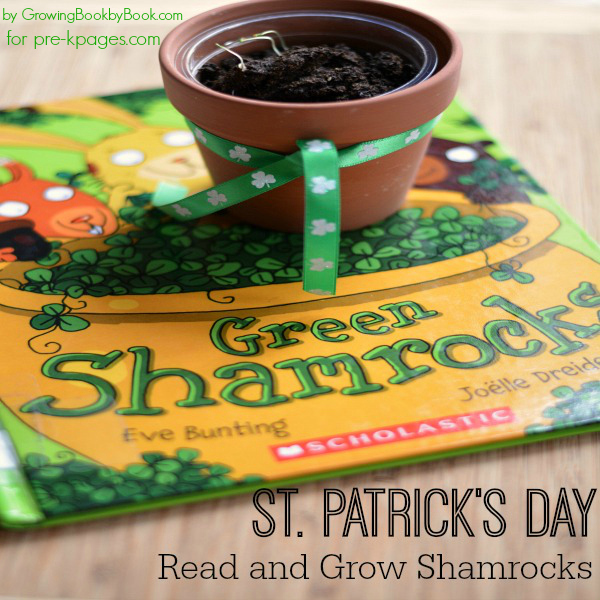 In this activity, children will listen to a read aloud titled Green Shamrocks by Eve Bunting. To extend the story, the children will plant seeds and observe the growth of the plants. These are the supplies you will need for the Green Shamrock activity. Green Shamrocks by Eve Bunting is the story of a rabbit who plants shamrock seeds in hopes of having enough to create a necklace to wear to the St. Patrick’s Day parade. He plants them, waters them and then waits. 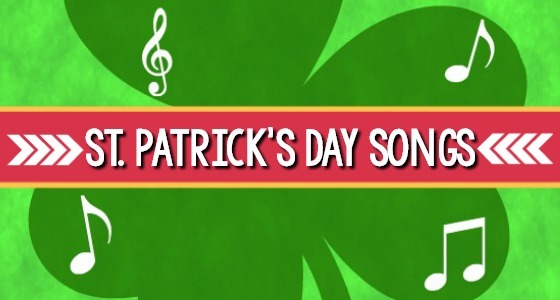 One day, he discovers his pot of shamrocks has disappeared and he sets off to search for it. He finds them just in time and is able to make his necklace. During his search he makes a friend who attends the parade with him. Gather the children close so that they will all be able to see the pictures while you read. Remember to read with expression. There are lots of questions and characters so you can have fun adjusting your voice to get into the story. As you read, emphasize the following vocabulary: shamrocks, sowed, perfect, spread and moaned. 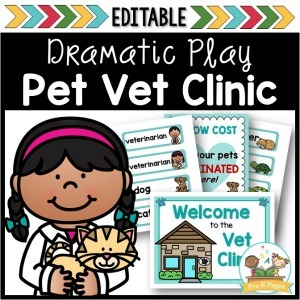 After reading, help the children retell the story in their own words making sure to highlight the major events in the story. Ask the children what the seeds needed in order to grow. Give each child a pot and enough potting soil to fill the pot. Leave 1/2 inch space at the top of each pot. 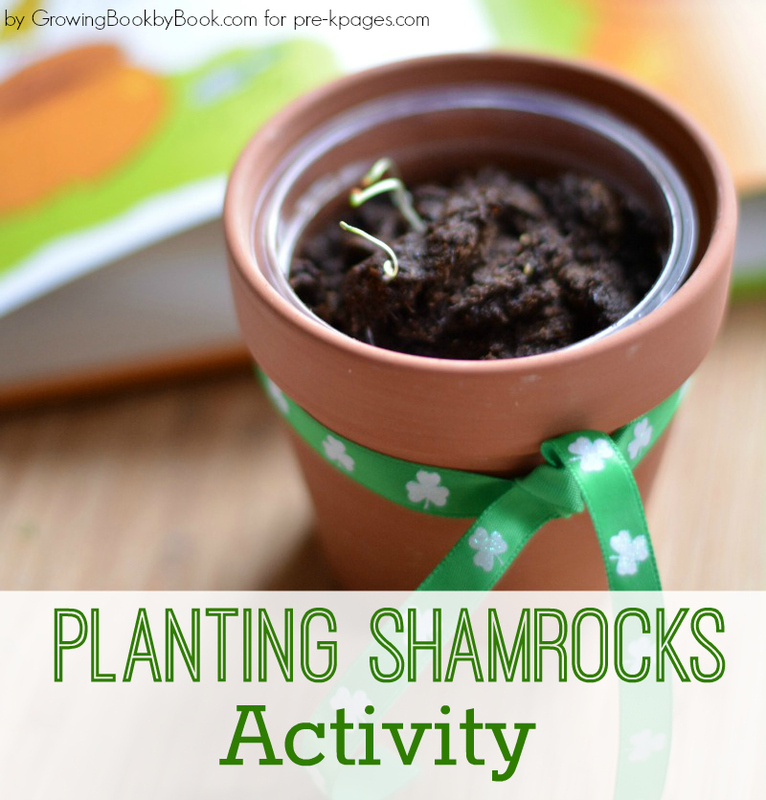 Give each child 4-5 shamrock seeds to plant. The seeds are very tiny! The seeds need to be covered with a very thin layer of soil. Gently water and cover with plastic wrap. Place in a sunny location where the plants will get plenty of bright light. Seeds will sprout in about 3-5 days. After seeds have sprouted, you may remove the plastic wrap. Each day, have the kids observe their pots and discuss what they notice. Tie a festive ribbon around each pot and send home with the children. 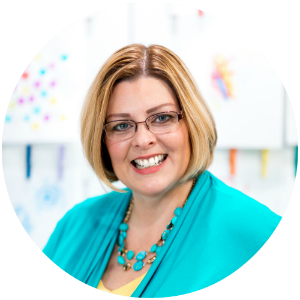 BIO: Jodie is the creator of Growing Book by Book where she shares book lists, reading and writing activities, and literacy building tips for young children. She is also the proud mom of 2 little boys- check out their playful preschool year! 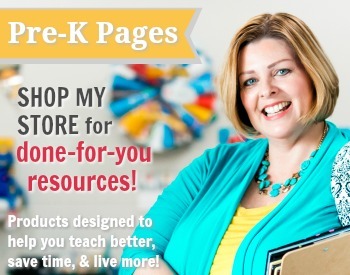 You can connect with her on Facebook and Pinterest. 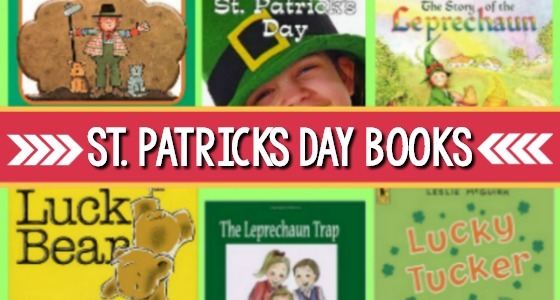 If you teaching a St. Patrick’s Day themed lesson then you might enjoy including one of these activities to follow up with this growing shamrocks activity in your pre-K or kindergarten classroom. 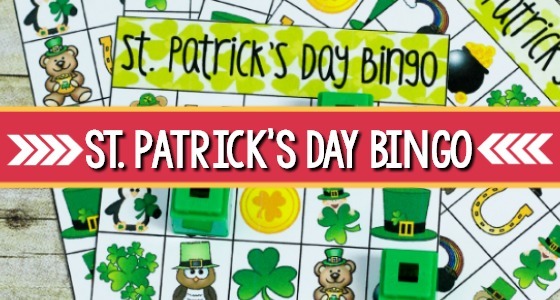 St. Patrick’s Day Bingo – Free printable bingo game for a St. Patrick’s Day theme or party in your preschool, pre-k, or kindergarten classroom. Includes both a black and white and a color version! 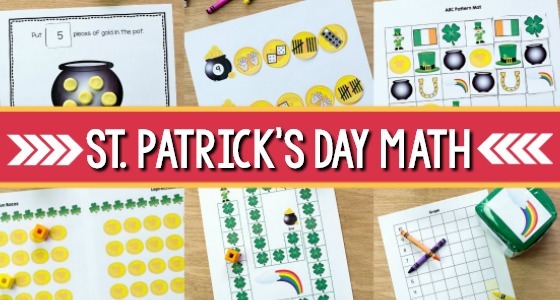 St. Patrick’s Day Play Dough Counting Mats – Free St. Patrick’s Day theme play dough mats to help your kids develop number sense and fluency within ten. 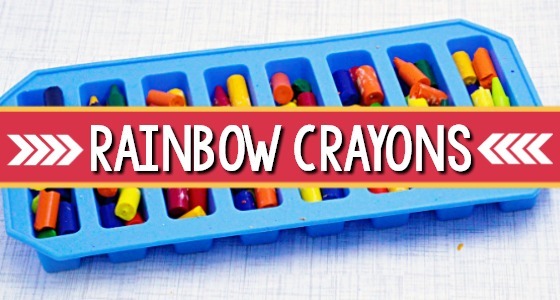 Includes 11 printable color mats for you to use in your play dough center. 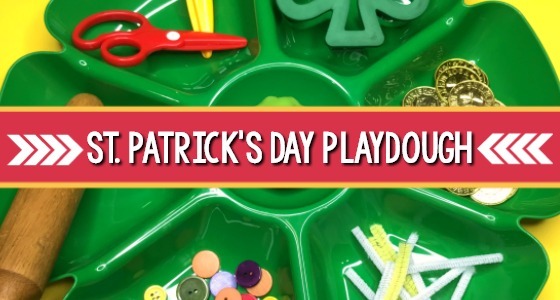 St. Patrick’s Day Fine Motor Activities for Preschoolers – There are plenty of ways to develop fine motor skills with a thematic twist. 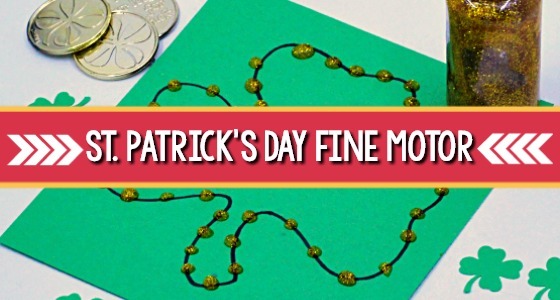 Here are some fun fine motor activities you can do with your kids at home or school for St. Patrick’s Day! 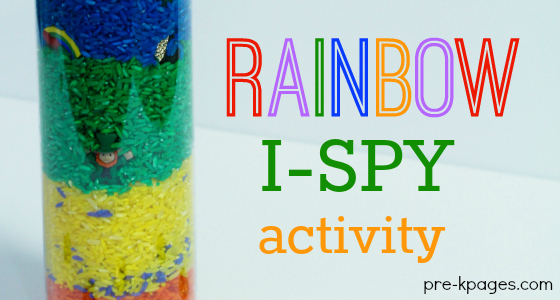 St. Patrick’s Day I-Spy Activity – Your kids are going to love this Rainbow I-Spy bottle for St. Patrick’s Day! 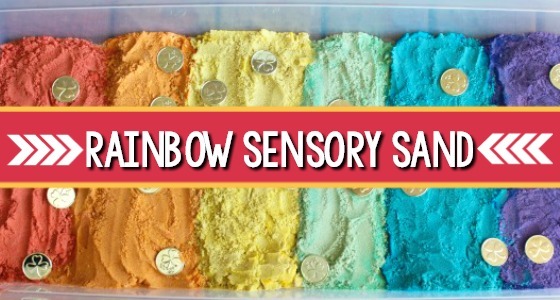 Shaking the bottle and searching for the objects hiding in the rainbow is only half the fun, I also created a printable that will help your kids practice identifying beginning sounds. 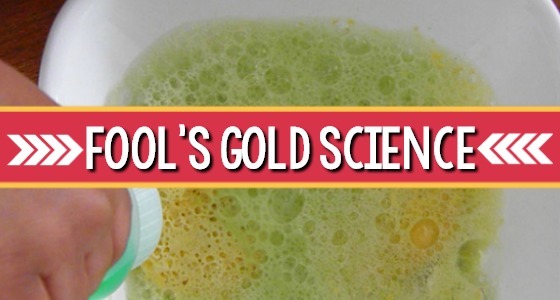 Fool’s Gold: St Patrick’s Day Science Experiment– Fool’s Gold is a simple science experiment that is guaranteed to have your preschooler squealing with glee. I have looked for the book Green Shamrocks, it is not readily available, selling used from over $30 and up. Very sad, looked like a great activity!! Excellent! 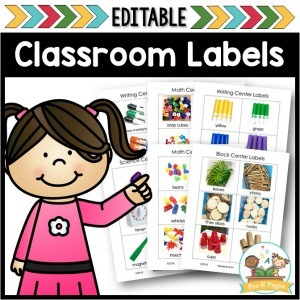 This works perfectly to support my ELL kindergarten class. We are studying plants and this is the perfect diversion on Saint Patrick’s day!! !